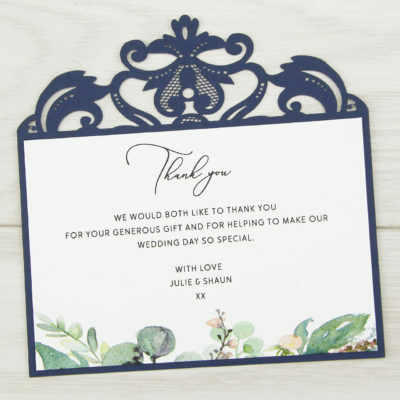 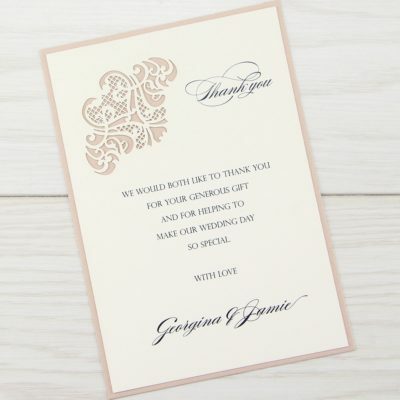 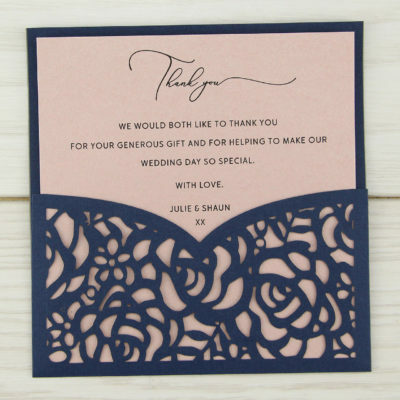 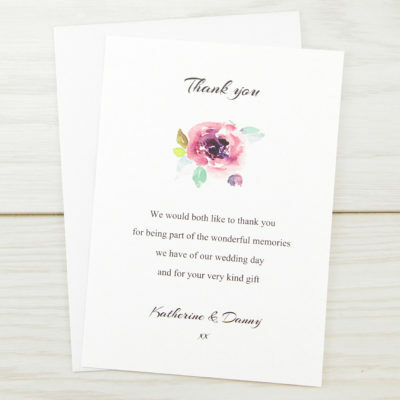 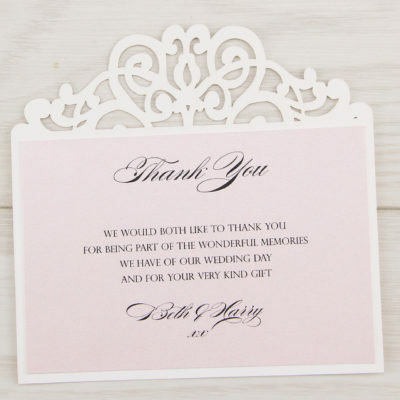 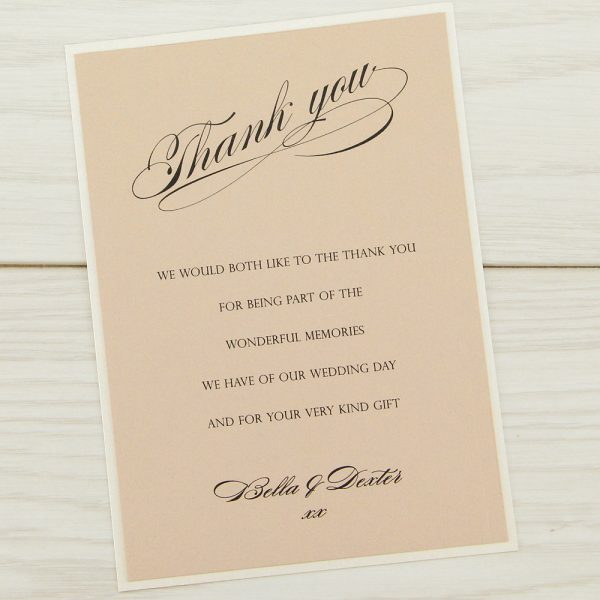 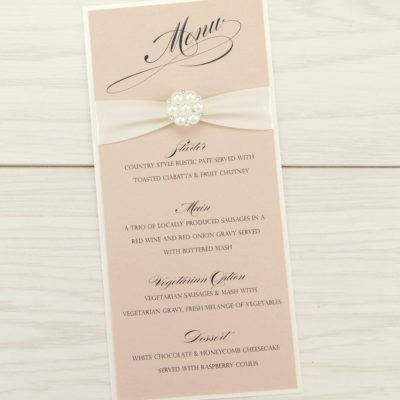 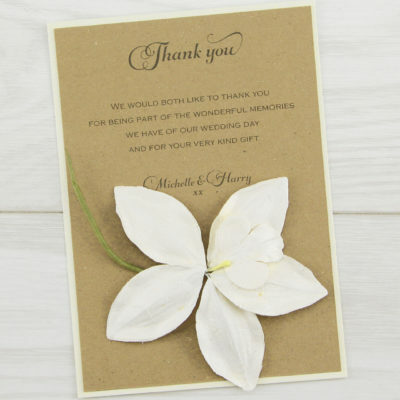 Send a personal thank you note to your guests with a Serena script card. 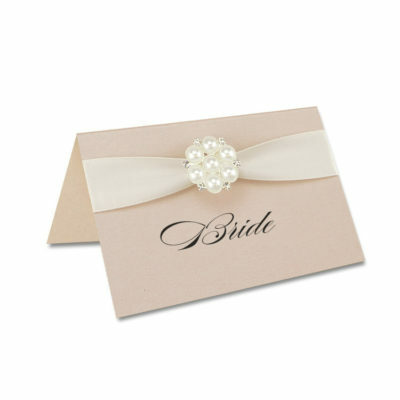 The base colour is pearlised antique white. 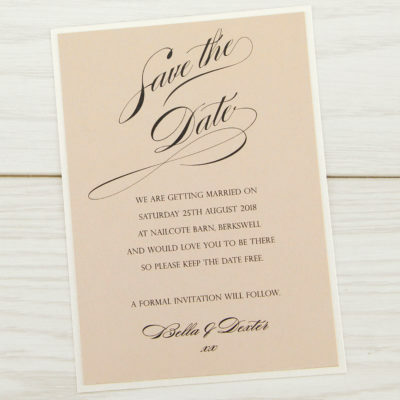 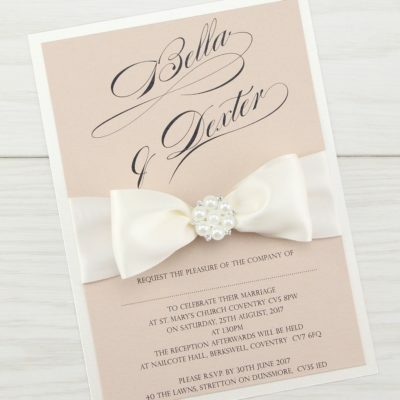 customise the insert colour to suit your theme.